JSC “Academician M.F. 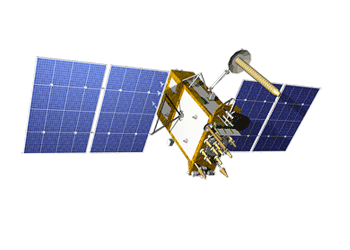 Reshetnev "Information Satellite Systems" is Russia’s leading space enterprise specializing in the design, development and manufacture of high performance spacecraft and satellite systems. The company owns the latest technology to perform a complete satellite manufacturing cycle, including mission–critical satellite testing and qualification as well as satellite–in–orbit control and support. Engineers of the Krasnoyarsk JSC “Academician M.F. Reshetnev “Information Satellite Systems“ (ISS) and software developers of Novosibirsk LEDAS together solved the problem of description of the individual processing of standardized parts in the assemblies in the CATIA V5 environment. For design and engineering works ISS uses CATIA V5. The typical logic of CATIA behavior is such that when changes are made to a particular part of the assembly, the changes are not applied to every particular instance of this part but only to the original document describing the item. Consequently, changes are applied to all other instances of the same details in the assembly as they refer to the same CATPart file. Therefore, in the process of design of spacecraft honeycomb panels that include several repetitive copies of parts, changes in one instance will automatically lead to similar changes in all other instances of the same part. Such logic was unacceptable for ISS since it was violating national ESKD standards. One of the ways to overcome the problem was very expensive because it involved replacement and integration of some new big software systems. However it was decided to develop a comprehensive, easy to use and effective software solution which could be rapidly integrated in the working software environment. Such solution required profound competence and skills, and it was implemented by LEDAS. Although the new program was rather sophisticated, from the end user point of view, it provider just two new buttons to switch operational mode from standard to special treatment "embedded mode". When you save an assembly which contains individually machined part, the new application creates new «user featured» parts that are also included in the structure of the saved assembly file. Such data file can, as before, be used in the context of PDM system to obtain information about part dependences, BOM creation, control of changes, etc.